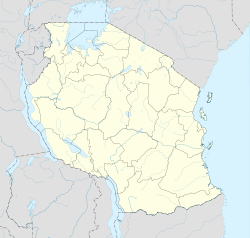 KMKM FC, Miembeni S.C., Mlandege S.C.
Amaan Stadium (also spelled Amani) is a stadium in Zanzibar, Tanzania. The stadium holds 15,000 people. The stadium was built with Chinese government aid and opened in 1970. This was China's first stadium project in Africa and it marked the beginning of its stadium diplomacy over the decades. The stadium was the location of a ceremony on 5 February 1977, uniting the Afro-Shirazi Party and the Tanganyika African National Union into the Chama cha Mapinduzi. The flags of the respective parties were raised and lowered for the last time with the flag of the Chama cha Mapinduzi then being raised. Amani Abeid Karume was sworn in as president of Zanzibar on 8 November 2000. The stadium underwent refurbishment again with Chinese assistance, reopening in 2010. The annual Revolution Day anniversary celebration at the national level is held at the stadium on 12 January. ^ a b "Stadiums in Tanzania". World Stadiums. Retrieved 27 January 2015. ^ "Amaan Stadium". Soccerway. Perform Group. Retrieved 8 April 2016. ^ Ogunsanwo, Alaba (1974). China's Policy in Africa, 1958-71. Cambridge: Cambridge University Press. p. 251. ^ Ross, Elliot (2014). "China's Stadium Diplomacy in Africa". Roads & Kingdoms. Retrieved 27 January 2015. ^ "Africa". Africa Journal (65–70): 10. 1997. Retrieved 13 August 2011. ^ Konde, Hadji (1984). Press freedom in Tanzania. Arusha [Tanzania]: Eastern Africa Publications. p. 8. ISBN 9976-2-0029-3. ^ The East African Journal of Human Rights and Democracy. East African Human Rights Institute. 2003. ^ "SMZ to protect Amaan Stadium". Guardian IPP. April 1, 2010. This article about a Tanzanian sports venue is a stub. You can help Wikipedia by expanding it. This Zanzibar-related article is a stub. You can help Wikipedia by expanding it. This page was last edited on 20 February 2018, at 06:30 (UTC).